SFC connectors are low-cost, multi-use utility clips for light to moderate loading conditions in CFS stud-to-stud and stud-to-structure applications where long leg lengths are not required. Submittal/substitution request for SFC steel framing connectors for cold-formed steel construction. 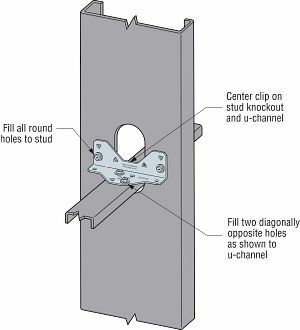 See illustration for fastener placement. Allowable loads are for use when utilizing Allowable Stress Design methodology. For LRFD loads, multiply the tabulated ASD values by 1.6. Allowable brace strengths are based on ultimate test load divided by a safety factor. Serviceability limit is not considered, as brace stiffness requirements are given in Section D3.3 of AISI S100. Contact Simpson Strong-Tie if nominal brace strength is required. Tabulated stiffness values apply to both ASD and LRFD designs. 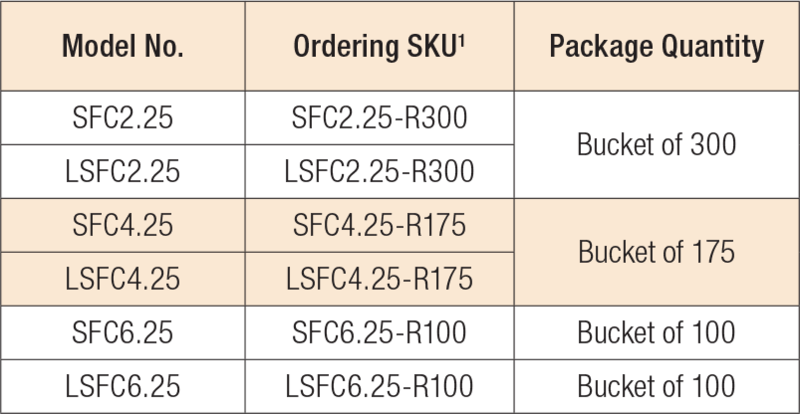 LSFC See specific model numbers for code listings. SFC See specific model numbers for code listings.